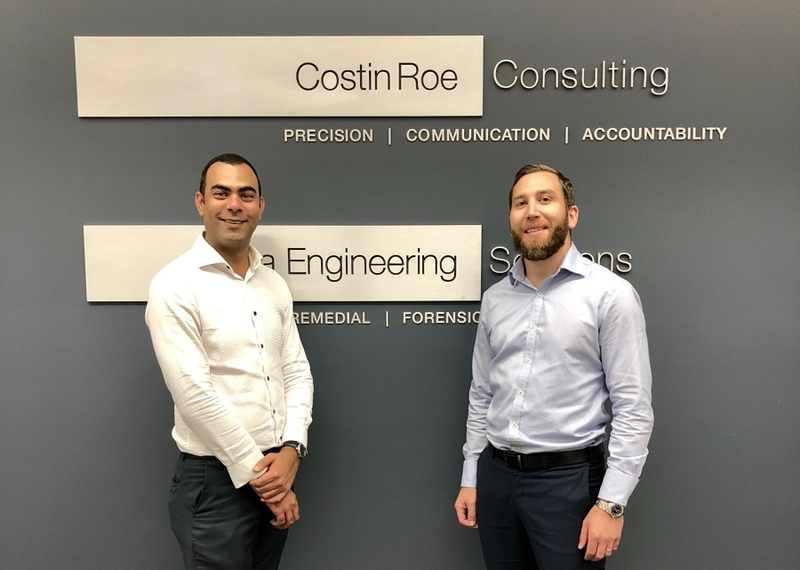 Costin Roe Consulting announced the appointment of Xavier Cure, Civil Senior Design Engineer, as Associate Director. Xavier joins another recently-appointed Associate Director, Dermot Nolan, as a role-model and example for junior engineers who join the firm with the intention of refining their skills, gaining experience, and progressing toward positions of leadership within the firm and the field. Xavier Cure [left] and Dermot Nolan, newest Associate Directors of Costin Roe Consulting. 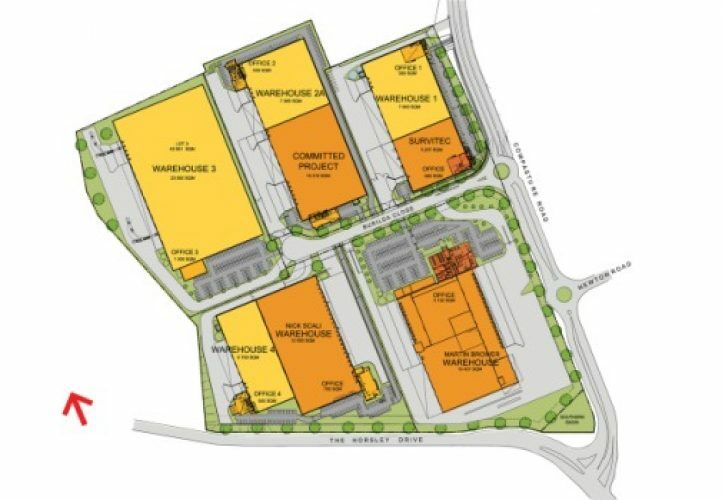 Xavier Cure has been working with Costin Roe Consulting for eight years. 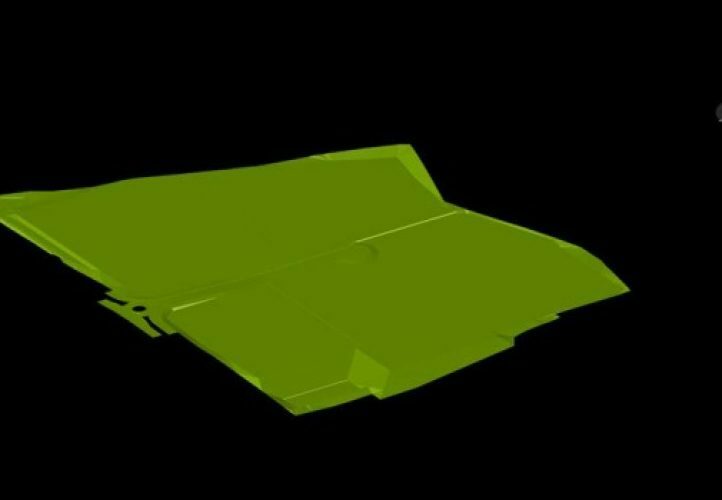 Xavier has a Bachelor of Engineering degree from the University of Technology Sydney (UTS). 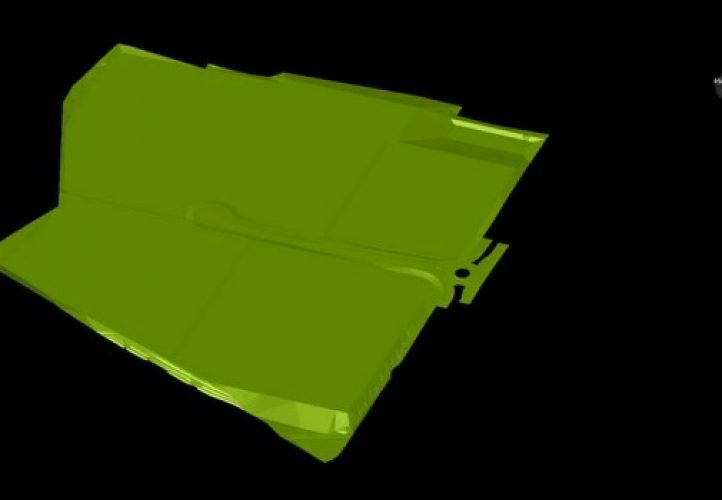 Specialising in civil engineering, Xavier has excelled as an engineer and representative of the firm in recent major commercial, industrial, and residential projects involving subdivisions, earthworks, roads, drainage, and WSUD (water-sensitive urban design) using Civil 3D, 12D, MUSIC, and HEC-RAS. Both Mark Wilson, Director, and CRC’s Managing Director, Grant Roe, originally joined the firm as junior engineers and rose through the ranks to their eventual positions as senior executive decision-makers. It is this longstanding culture of mentorship, professional development, and internal career advancement at Costin Roe Consulting that attracts the brightest engineering graduates and post-graduate students to join the firm, enjoy the dynamic environment and team spirit, and take full advantage of the professional opportunities available. Costin Roe Consulting design engineer and PhD candidate, Tanaz Dhondy, received an award for ‘Best Oral Presentation’ following the delivery of her preliminary research findings at the inaugural International Workshop on Coastal Reservoirs held in January 2018, at the University of Wollongong. Tanaz Dhondy received the oral presentation (research) award at the IACRR Workshop 2018. 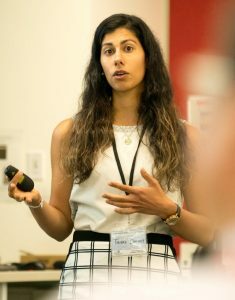 Titled: Investigation of the chemical and physical properties of sea sand for the possible use in concrete for coastal infrastructure, Tanaz’s award-winning presentation summarised the preliminary findings of Stage 1 of her PhD research. 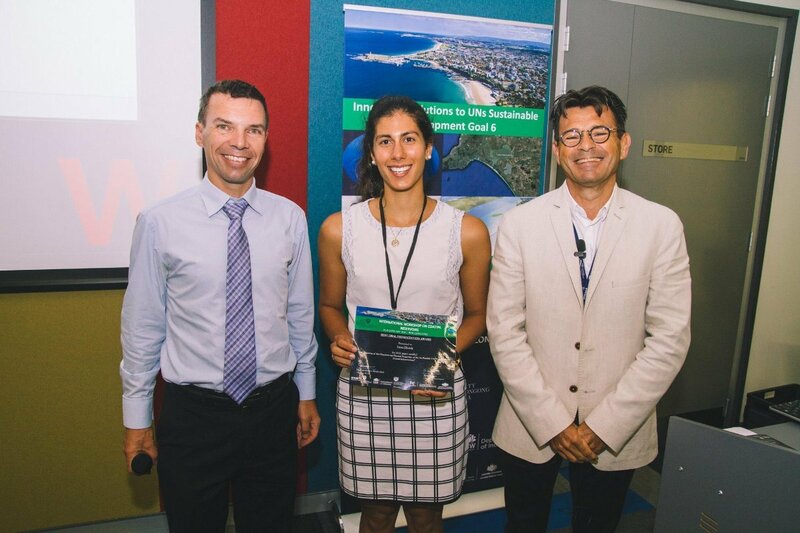 Tanaz described the invitation to speak at the International Workshop on Coastal Reservoirs as “an amazing opportunity”, and receiving the award for ‘Best Oral Presentation’ at the event “an honour”. Tanaz Dhondy speaks at the IACRR Workshop 2018. Hosted by the Centre for Coastal Reservoir Research (CCRR) at the University of Wollongong, the world’s first international workshop on coastal reservoirs (CR) was held in collaboration with the International Association for Coastal Reservoir Research (IACRR). 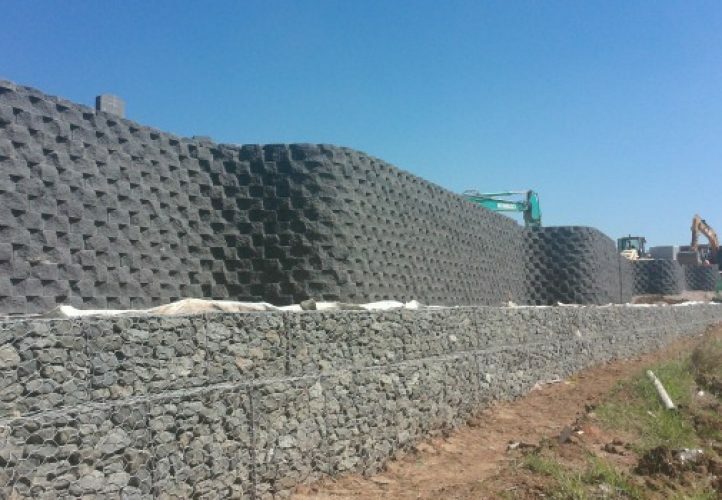 “Major cities around the world are actively pursuing coastal reservoirs as a sustainable solution to their water problems. CR is an innovative technology that can recover floodwater entering the sea without desalination,” said the IACRR in promoting the workshop, which invited water resources planners, researchers, engineers, and scientists to review and assess the feasibility of coastal reservoirs in securing universal and equitable access to safe and affordable drinking water. 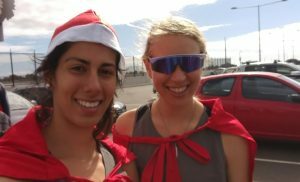 Tanaz Dhondy and Erica Thornton, Costin Roe Consulting engineers, got into the seasonal spirit of giving to participate in the 2017 Sydney Airport Runway Run to raise funds for Cure Cancer Australia. 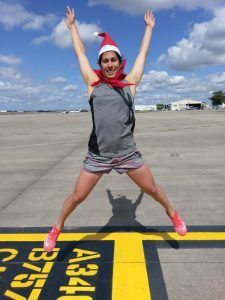 Tanaz Dhondy, Design Engineer, Costin Roe Consulting, achieving vertical take-off at the Sydney Airport Runway Run 2017. This one-of-a-kind event provides a rare opportunity for athletes and fun-runners to sprint 500 metres down one of Sydney Airport’s operational runways and support a great cause at the same time. 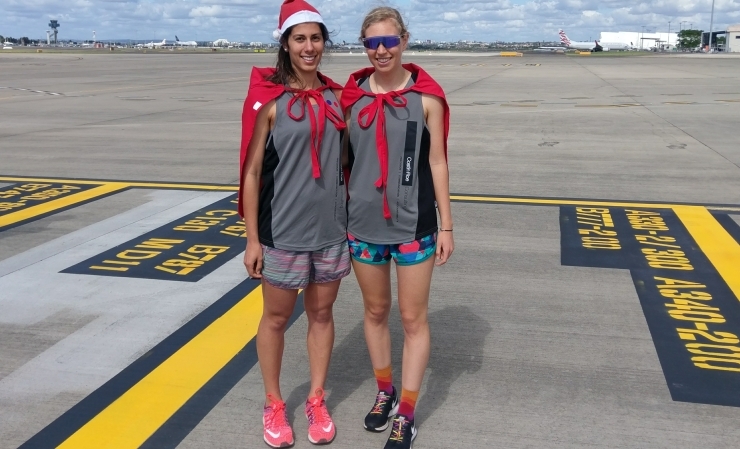 Costin Roe Consulting covered the entry fees for the two enthusiastic runners in their Costin Roe Consulting race-livery to take part in the event, which was limited to 100 total participants. Tanaz Dhondy and Erica Thornton representing Costin Roe Consulting. 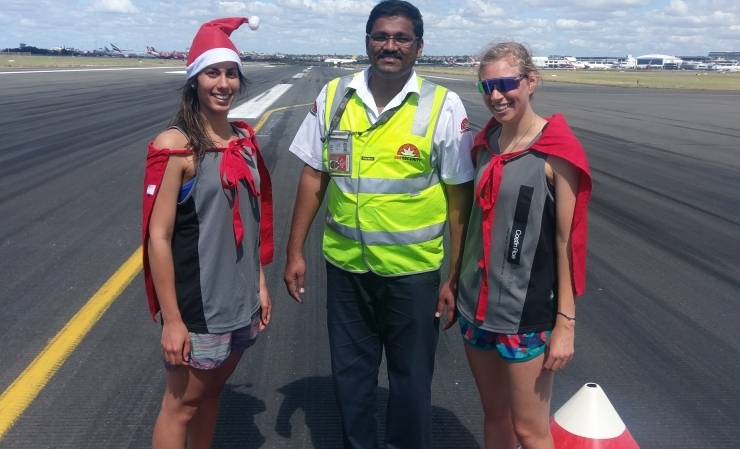 Sydney Airport staff were on-hand to assist runners with on-ground navigation. 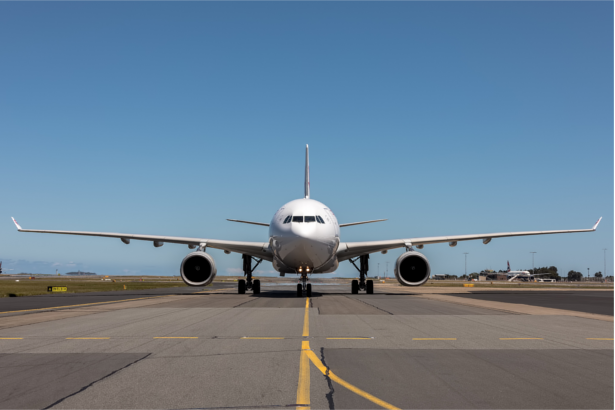 The more familiar sight on runways at Sydney Airport. 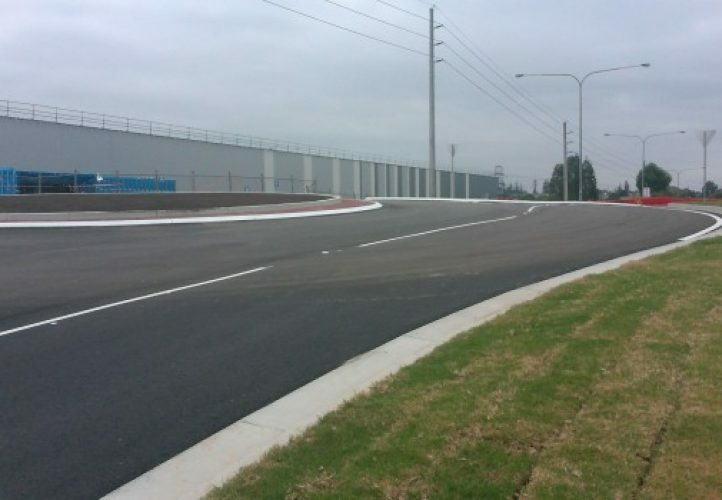 Civil engineering by Costin Roe Consulting at Horsley Drive Business Park Stage 1 has been ‘Highly Commended’ for ‘Excellence in Integrated Stormwater Design’ and the achievement of ‘world leadership in sustainable design’. Commendations were accepted on behalf of Costin Roe Consulting by representatives of the local municipality, Fairfield Council. 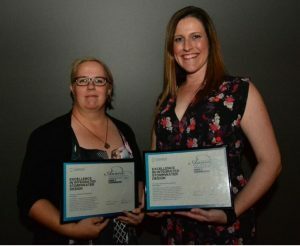 Costin Roe Consulting was given special recognition during the annual award presentations at the Stormwater NSW Conference 2017, held in Newcastle where the firm maintains its second-largest office in NSW and national civil engineering headquarters under the supervision and mentorship of director, Mark Wilson. 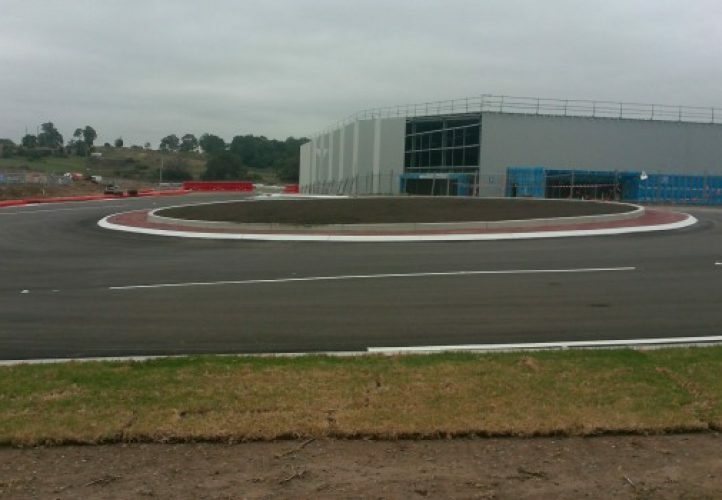 Stormwater NSW congratulated “the whole team involved in the Horsley Drive Business Park Stage 1”. 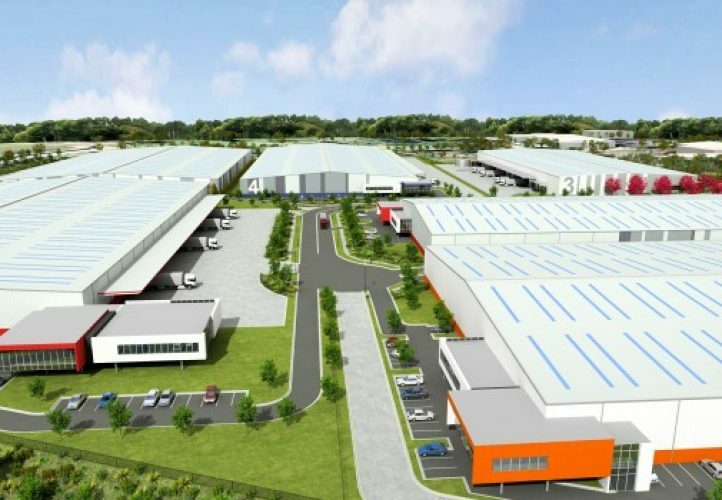 Key stakeholders included The Western Sydney Parklands Trust, which owns the site, and Frasers Property which entered into a development agreement with the Trust to establish a mix of facilities that would meet the highest sustainability benchmarks. 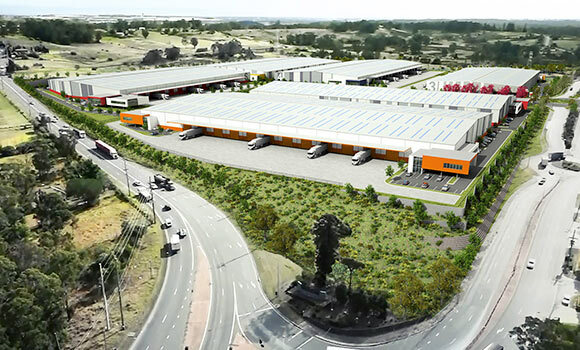 As a result, the Horsley Drive Business Park is the first and only industrial precinct in Australia to successfully target a ‘6-star’ Green Star rating (Green Building Council of Australia), certifying ‘World Leadership’ in sustainable design. 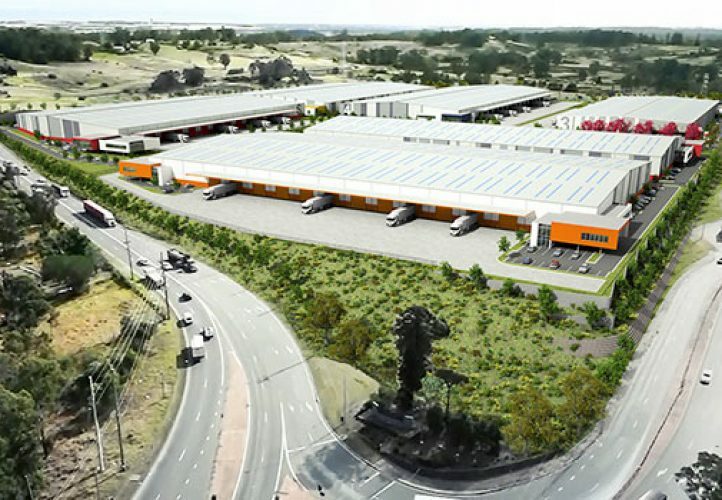 Mark Wilson credited Newcastle-based Costin Roe Consulting civil engineer, Mitchell Cross, for outstanding contributions on behalf of the firm towards the successful completion of HDBP Stage 1. 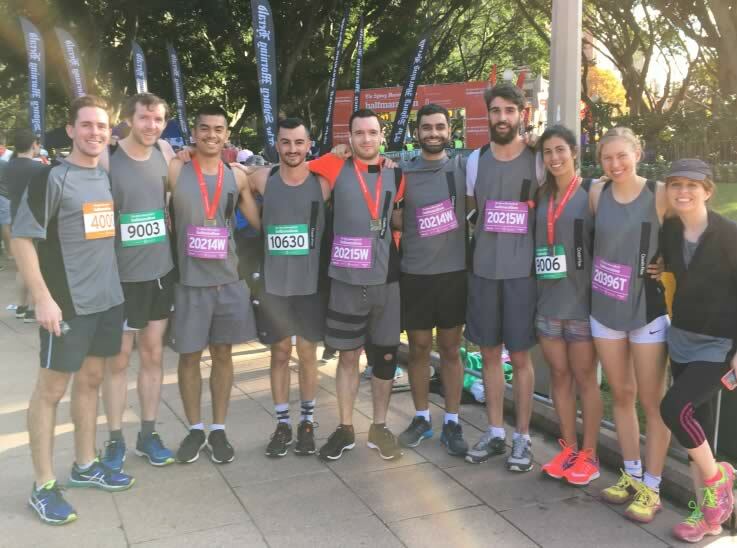 Engineers from Costin Roe Consulting participated in the Sydney Morning Herald Half Marathon, Australia’s largest and most prestigious half-marathon event, to finish in a victory for personal achievement and the team’s chosen charity, the Fred Hollows Foundation. 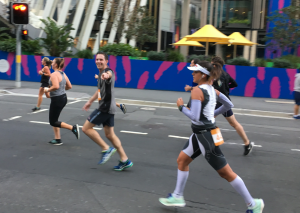 The mild autumn weather in Sydney on Sunday 21 May 2017 delivered perfect conditions for more than 12,000 competitors to set out from 6:45am on the 21.1km course starting in Hyde Park and going through Walsh Bay, Barangaroo, Darling Harbour, and Pyrmont, before reversing to return via Circular Quay and the Royal Botanic Gardens for completion in Hyde Park. Rio Olympian Liam Adams won the men’s race in a time of 1:05:08, the third time he has taken out the race which this year was held for the 26th time. Two-time winner Cassie Fien took out the women’s race in 1:15:32. Seven of the Costin Roe Consulting team members completed the entire 21.1km course. 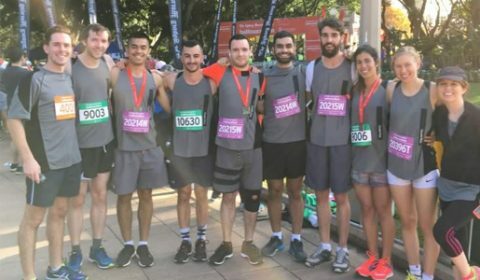 These athletic ‘die-hards’ in the team’s designer-style Costin Roe Consulting racewear were Angus McDougall, Paul McKay, Eden Bartolo, Tanaz Dhondy, Lachlan Walters, Josh Cadman, and also Grace Campbell (guest team member as the partner of Paul McKay). 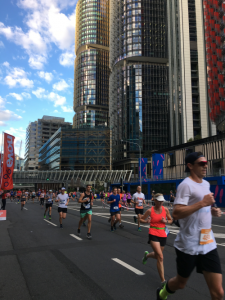 Breaking the total distance into more manageable relay segments, Rockie Cabida completed 14km with relay partner Chris Valoudis covering 7km; John Holme ran 14km with relay partner Angus Hartney doing 7km, and Erica Thornton completed 7km with her dad running as her relay partner. Costin Roe Consulting’s Annual Charity Golf Day became popular with many of the firm’s construction and property industry contacts over the last seven years, raising funds and awareness for Wheelchair Sports NSW. Today, the firm’s involvement in sporting-related charitable events is more diverse, reflecting the diversity of interests and abilities within its ranks.